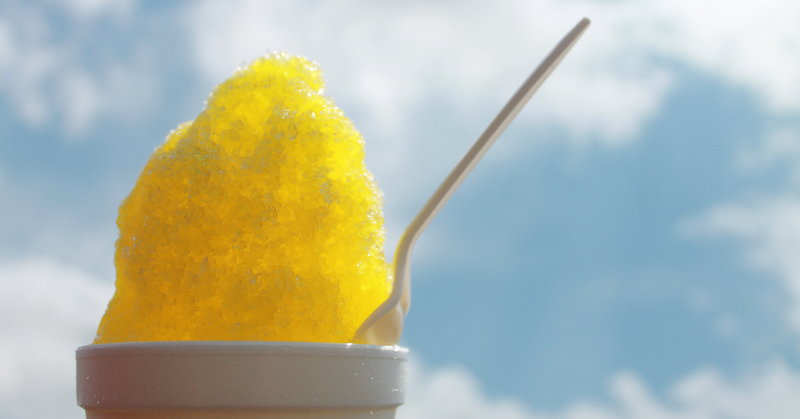 We really like a good shaved ice and have searched for the best tasting syrup bases to produce some of the best tasting Shaved Ice you can find, anywhere. Our syrups are made at our commissary in Huntsville, AL. We have reduced the amount of sugar in our syrup by 20%, while increasing the flavors of our syrups. Our syrup base is pure cane sugar, water with Sodium Benzoate and a touch of Citric acid as preservative. We mix our base syrup weekly. Flavor extracts are added as needed as close to time of service as possible.This gives our flavors the most true-to-life flavor possible–they are second to none. Our Cream topping is condensed milk, vanilla soft serve mix and a little extra Vanilla. We guarantee you will taste the difference, free samples always available. We also offer all natural hand squeezed lemonade, which is pretty good. Many customers have told us our lemonade is the best they have ever tasted. Our lemonade is available frozen at What’s Popp’N. I love the raspberry lemonade! Wow and diet flavors too. Iceworks is the best.